The 2018 Volvo XC60 takes design inspiration from its bigger sibling the new XC90 SUV.The SUV is underpinned by a shorter version of the SPA architecture. It sports Volvo’s signature Thor’s hammer LED headlights. Also, the front grille gets chrome garnishing and boasts design cues from the flagship SUV model in the range.At the side profile, the SUV features stylish appearance with the turn indicator integrated ORVMs, sporty alloy wheels and sleek roof rails. The rear fascia of brand new XC60 gets vertically positioned LED taillights and looks sharper and more stylish compared to the outgoing model. The exterior is understated but has a typical luxury stance of a modern Volvo. Step inside and for a minute we think that we are stepping inside the XC90 – the same finesse, the same excellent interiors that set the benchmark for the XC90 – everything is repeated here though with some changes. There is now a wood strip that goes around and cradles the dashboard – and is again very distinct, with a driftwood finish, adding a Scandinavian charm to the cabin. The same 9in vertical touchscreen sits in the centre but with a reworking of the icons, making them even easier to use with even larger touch areas and a simpler layout. The instrument panel is digital, displayed on a high res LCD screen, and the heads-up display adds another information source for the driver.The start-stop knob though is now unidirectional, and has to be turned in clockwise to both start and shut-off the engine. The drive mode select knob is also a replication of the XC90. 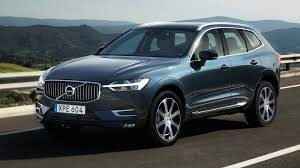 Although internationally, the new Volvo XC60 comes with several engine options, here in India we will only get the 2.0-litre diesel at the time of launch. The XC60 in the D5 form produces 232bhp and 480Nm. All of this power is put down to the road in a very linear manner. In fact, even with its near two-ton weight, it feels energetic and rather quick to gain speeds. One of the biggest let downs with most diesel offerings is the turbo lag, but Volvo has managed to develop a smart solution that overcomes the issue. The XC60 comes with what the Swedish carmaker calls PowerPulse technology. With the help of an air compressor, this system pumps more air into the engine which results in a relatively immediate power delivery. The engine feels its best in its mid-range where it has enough and more energy on tap. The most impressive thing about the XC60 is just how refined the engine is. Irrespective of your speed, the powerplant doesn’t feel under stress and you won’t hear even a hint of discomfort inside the cabin. Of course, due credit must also be given to the insulation for inside the cabin. The XC60 is mated to an 8-speed automatic transmission that shifts smoothly but it isn’t the fastest box out there. Volvo has fitted the XC60 with air suspension on all four corners. It allows the mid-sized SUV to offer a phenomenal ride quality. Although we didn’t get a chance to drive the XC60 off-road, en route to our shoot location, we did encounter some pretty bad roads but the XC60 managed it all with astonishing plushness. The 223mm of ground clearance at full stretch meant that the underbelly doesn’t scrape either. As far as handling is concerned, the XC60 manages well for the most part, but there is still that floaty feeling from the air-suspension that robs away some of the fun. Having said, Volvo has clearly tuned the suspension to be a lot sportier on this one than the luxury-centric XC90. All in all the India spec car with be loaded with all the systems, features and equipment available anywhere on an XC60. This would include all the radar based safety systems that have been missing from the Indian cars, air suspension, a Bowers & Wilkins surround sound system, wood inlays, Napa leather perforated seats and a heads up display.Given the length and breadth of the features and equipment list, the fact that the car is spacious and can seat five easily plus the pricing strategy that Volvo employs in India, the XC60 will be the pick of the cars in its segment as things stand and it remains to be seen whether the new Audi Q5 or the upcoming new BMW X3 can match up. The 2018 Land Rover Discovery Sport is now offered only with a diesel heart and draws power from the 2.0-litre Ingenium diesel engine, which is available in two states of tune. The Pure, SE and HSE trims get the 147 bhp version of the engine with 382 Nm of peak torque. On the other hand, the range-topping HSE Luxury variant gets power uprated to 177 bhp and 430 Nm of peak torque. A 9-speed automatic transmission and All-wheel drive is standard on both versions. Land Rover is not offering a petrol engine on the Disccovery Sport. These spy shots give away a few clues. First, check out that fuel door. It’s massive compared to the current design and likely indicates big changes underneath. Speculation is running ramped that the 2020 Disco Sport will have an entirely new architecture, meaning things like the fuel filler neck don’t exactly line up with the current body. If true, that means this test mule could be running the new chassis with the current body shell bolted on to fool onlookers.The second clue is the exhaust. A look up its skirt reveals a single muffler with dual tips at the vehicle’s left-hand side. The current SUV features a single exhaust tip at each end of the bumper. Then again, these changes could indicate updates to the powertrain. Currently, the Discovery Sport’s diesel exhaust fluid reservoir tank is located under the hood and requires a special DEF bottle to refill. Land Rover could be relocating this filler neck to under the fuel door. The new exhaust layout also suggests powertrain changes and the need to better control diesel emissions. Still, we won’t know until more information comes to light.As for the front, this test mule has a slightly revised fascia with very minor changes. The lower chin sticks out further than before and with a sharper edge, giving the crossover a more aggressive appearance. The rest seems oddly unchanged despite the swirly camouflage. Refreshing, especially for its class of cars. The German’s approach to luxury includes wood and busy layouts; high-tech screens and complicated multi-media systems. Land Rover, though, goes for warmth, simplicity and functionality. And the Discovery Sport’s interiors are exactly that. With easy to read and use controls, blocky and clean-cut dash design, and subtle colours and highlights, you know this one isn’t about bling; it’s about purpose.We love the driving position, the excellent visibility all round and the space, including that for the luggage. Land Rover has got the seats spot on too. These aren’t cushy but are large, supportive and well designed to keep you comfortable over long hours of travel, and this is true for both front and rear. Additionally, the rear ones can recline, and slide fore and aft further adding to creature comfort. This here is the lesser powerful 148bhp, TD4, five-seater version and it is available in three trims – S, SE and HSE. But all three get Land Rover’s signature elements like hill descent, roll over and stability control systems besides Terrain Response as standard fitment. This apart, the S trim is pretty basic and doesn’t even get a two-zone climate control system. The SE, with two-zone AC, parking sensors and split rear seats and not to mention automatic headlamps, rain sensing wipers and a panoramic sunroof, is much better specced.With a rear view camera, 8-way adjustable front power seats, keyless entry and start, leather upholstery and something called perpendicular park assist over and above what one gets in the SE trim, this one has a high pamper co-efficient. But, it also takes the TD4 very close to the likes of the X3 and the Q5 in terms of pricing. The HSE TD4 costs Rs 55.7 lakh ex-showroom. 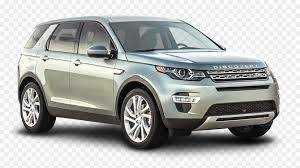 The current Land Rover Discovery Sport is offered with both gasoline and diesel engines in a range of power levels. Outside the U.S., the Disco Sport is available with the 2.0-liter TD4 with 150 horsepower or 180 horsepower. Those who like shifting their own gears will appreciate the manual transmission available with those engines. A nine-speed automatic is optional. There is also the 2.0-liter SD4 turbodiesel with 240 horsepower and 369 pound-feet of torque. The gasoline option also displaces 2.0 liters but makes 240 horsepower and 250 pound-feet of torque. Both the upper turbodiesel option and the gas engine come standard with the nine-speed gearbox. Here in the U.S., we’re confined to the 2.0-liter gasoline engine with 237 horsepower as standard or the 286-horsepower version optional in the HSE and HSE Luxury trims. As for the future, we know Jaguar Land Rover has committed to electrifying every model it makes, so the next Discovery Sport will indeed have a plug-in hybrid powertrain as an option. The specifics of the driving range and battery size aren’t yet known, obliviously.The 2017 Land Rover Discovery Sport can actually be had without 4WD, believe it or not. Outside the U.S., the Pure E-Capability trim level with its efficiency-tuned, 150-horsepower turbodiesel is front-wheel drive. Land Rover could expand the FWD’s reach to more markets in hopes of selling to the eco-conscious crowd. Perhaps FWD will be paired with the hybrid powertrain, leaving 4WD to be an optional extra.As for the turbocharged 2.0-liter gasoline and diesel engines, expect only minor updates since they fairly new. They belong to the JLR’s Ingenium engine family and are as cutting-edge as current production engines go. It’s great for inter-city travel (with it being rock solid in a straight line, no matter what speed or surface) or to spend time pondering over board meetings while the chauffeur battles rush hour traffic. But, it’s only when the going gets slushy, sandy or grassy that the Discovery Sport comes into its own.The Terrain Response System seems to have a cure for nearly every road condition on earth. Gravel, snow, grass, mud, ruts or sand, press a button, ease into the seat, and get tapping on that throttle. Soon enough leisure off-roading turns into child’s play. The drivetrain impresses too. The 2.2-litre, four-cylinder, diesel, isn’t the most refined or powerful, and on its own, it isn’t a match for the BMW or Audi engines. But, the quick-shifting, seamless and efficient 9-speed automatic box, masks the engine’s shortcomings beautifully. It’s only when you rush the engine do its chinks start to show.Where the Sport fails to impress, though, is the way it rides. We won’t call it uncomfortable, but it is anything but cosseting. It crashes into bigger potholes, jiggles over road joints and no matter how smooth the surface; it never rides with the pliancy expected of a luxury automobile. Equipment armed in the SUV for the safety of occupants includes dual front airbags with side-bags, perimitric & volumetric protection, Drive Control Monitor, Intelligent Speed Monitor and Lane Keep Assist. Other than these, it also gets hill descent control, electronic power assisted steering and adaptive Dynamic with MagneRide.Exterior profile gets a fixed panoramic sunroof, power adjusted heated exterior mirrors with power-fold and memory functions. In front, it sports adaptive Xenon headlamps with LED signature, fog lamps and rain sensing wipers. Inside the cabin, it is gets Windsor leather seats, 10 way adjustable electric front seats with driver & passenger memory and sliding arm-rest on centre console. It’s hard to tell what Land Rover has up its sleeve at this point, but the Discovery Sport is clearly about to change. Whether it’s a refresh or a complete generational update, that’ has yet to be seen, but we’re betting on the latter. Adding a plug-in hybrid powertrain to an existing platform isn’t an easy proposition, after all.The new Discovery Sport will undoubtedly be more advanced, more efficient, and more techie while still appealing to active families who might occasionally venture off the beaten path. When it comes to Renault Captur interiors, there is a lot to talk about. It is one of the most attractive and premium-looking car from inside as well. The dashboard layout and design is much better than what is found on the Duster. It looks fresh, decent yet dynamic with butterfly-shaped instrument cluster, large digital speedometer with tachometer and a fuel gauge. The cabin is lighted with ambient LED lights that look really cool and premium. The plastics used are of decent quality.The top-end variant of Renault Captur features a 7-inch touch-screen infotainment system with Bluetooth, Aux-in and USB connectivity options. It also supports voice command, navigation and acts as a rear camera display, when needed. However, it misses Android Auto and Apple CarPlay connectivity. Other features on the inside include steering mounted controls, cruise control, electrically operated wing mirrors and automatic climate control, which is a standard feature acoss all variants. 2017 Renault Captur is quite a comfortable car. The two-tone white-and-black leatherette seats are very comfortable and they look good too. It offers good under-thigh support, knee room, back support and shoulder room, which makes Captur a perfect car for long journeys. Even three average adults on the rear won’t have any complaints regarding space and comfort. The rear gets its own set of AC vents too. The Captur is available with both the 1.5-litre H4K petrol and K9K diesel engines. But the diesel motor will only be offered in the more powerful 110PS/245Nm tune. And this is the motor we had on test. 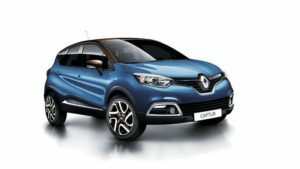 It’s coupled to a 6-speed manual (the petrol is paired to a 5-speed manual), but considering that the Captur is aimed at a new ‘stylish’ customer, one more likely to stick to urban environments, we feel that Renault could have considered adding in the option of its Easy R-AMT transmission as well.At idle, the engine is quieter than in the Duster. But that’s more to do with the better cabin sound insulation than a different engine tune. On the move, you do get a fair bit of road and wind noise, but they sound a little softer when compared to the Duster. But in the city, where it really matters, the Captur doesn’t feel much more urbane. You have to get the K9K spinning up to over 1700rpm to make progress and, when combined with the heavy clutch, you can look forward to developing some strong left leg muscles if you do a lot of city commuting. One way to get around this is to hold either 2nd or 3rd gear for a little longer and then skip one gear on the upshift by going to 4th or 5th gear. This cuts down on the number of gear shifts on the smooth shifting gearbox, and if done right you should still be in the power band as well. Out on the highway, the engine and gearbox are more at home and the Captur likes to stretch its long legs. From a standstill, it will hit the ton in 13.24 seconds if pushed hard. But once there, it’s happy to sit at triple-digit speeds all day. When cruising along the highway, the Captur returned a strong 21.09kmpl and in the city, that number decreased to 15.50kmpl.The suspension setup feels slightly firmer than the Duster and this means that the Captur feels a little better going around corners. At highway speeds this stiffness actually keeps the chassis more composed but at city speeds, the small imperfections like level changes and ruts are heard and felt as well. The steering feel is also great but if you push it hard through a set of corners you will feel that familiar kickback through the wheel. For a crossover SUV it’s not quite as car like to drive in the city as say the Creta for example and not quite as sporty as the looks might suggest. Handling is good I have to say. surprisingly because I was worried that the rather generous 210 mm ground clearance would make it wobbly or top-heavy feeling. It is neither. The car takes corners well, though they wouldn’t go as far as to call it very sporty. Again – think Duster! So it holds an intended line, and the steering is properly stiff with decent feedback. The ride quality is also sorted and the suspension set up is indeed like the Duster’s. So it’s a supple ride, with the capability of swallowing up mostly anything. But the Captur does not get AWD, as Renault believes the buyer in this space isn’t really looking to go off-roading. And if they are then the Duster is the option for them anyway. I did mange to go off the road briefly – nothing too intense though. But the car handled it very well. Now the ground clearance certainly helped! Renault says that of all the Captur iterations worldwide, the India spec has the highest clearance. 5mm higher than Russia’s Kaptur, and our Duster! This puts it head to head in competition with the Hyundai Creta that’s nearly Rs 50,000 more expensive. The Duster which is also in the same market space is approximately, variant to variant, 1.5 lakh cheaper.Judging by the number of heads the Captur turned on our test, Renault seems to have certainly hit the mark in the design department. The better sound insulation, ergonomics and richer looking Interiors have managed to address some of the Duster’s shortcomings. However, it hasn’t gone whole hog either. The lack of automatic transmission options, the tiresome clutch and bumpy suspension feel in the city and the lack of a better infotainment system hurt its case. So, the Captur delivers on it’s promise of being a stylish and modern SUV, but somewhat halfheartedly. 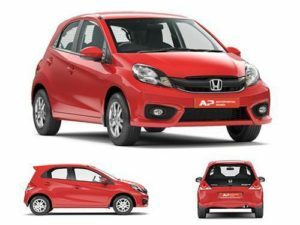 Maruti Suzuki Alto till date is the most preferred entry level car with its high reliability, best mileage, decent styling and above all the dense service network. Maruti Suzuki Alto and 800 both have the same 796 cc 3 cylinder engine. However, the one in Alto produces 47PS while that of the 800 makes 36 PS. Undoubtedly Alto has grabbed a huge market with its power and mileage. Maruti 800 is in market for more than 20 years and has been a very successful throughout its tenure. It recently got discontinued from the metros with the application of the BS4 emission norms. 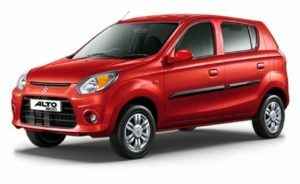 Maruti Alto 800 On road price starts from 2,63,370/-. 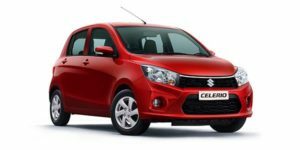 Check for price details of Maruti Alto 800 in CarzPrice. Earlier this year, Hyundai entered the mass car segment with its fluidicly designed Eon featuring a 3 cylinder 814cc engine delivering a power of 56PS. Eon banked on its fluidic design in addition to a more powerful engine which is a fresh change in the entry level segment.Hyundai Eon and Tata Nano were the fresh entry level cars compared to the ones Maruti Suzuki was offering. As Maruti Suzuki was losing market to the newbies, they decided to reincarnate the 800 cc segment. Cashing on the brand of Alto and offering a car with better styling than the conventional 800, the Alto 800 was launched. Will the Alto 800 set a new benchmark for entry level cars is what we find out in our review. The interior of the Alto 800 has been improved too. The dashboard central panel is now oval in shape which scores more than the simple design of the earlier version of Alto. Also, the cabin is more spacious now. Between the front seats, an additional provision has been given for storage which can now hold a 1 liter bottle.Inside the new Alto 800, passenger comfort and convenience has been given due importance. The 3 spoke steering wheel has silver accents, which give it a premium feel. The front dashboard has easy pockets for keeping small items like mobile, remote of music system etc. Compared to the Alto, the new car features better headroom and legroom and also a better lumbar for front row seats. Fabric upholstery is used in the LX and LXI variant while double vinyl upholstery can be seen in basic variant.Contributing to the nice overall fit and finish of the cabin are the upholstery texture of seats and that on door panel. Top of the line variant LXI also features optional Airbag which is fantastic especially as the Alto never had one. It has a 3 cylinder 796cc engine which produces a power of 48PS at 6000 rpm and a torque of 69Nm at 3500 rpm. Alto 800 comes with a 5 speed manual transmission with an all new cable type gear shift. Also going with the latest and strict emission norms all the variants not come in BS4 versions.The first most prominent change that one notices seated inside the Alto 800 is the improved height of the car. Thus even for taller passengers, it is not that difficult to get in and move out. The headroom and the legroom have been revised and also the seats have been made wider and offer greater seating comfort.The driving view has also been improved with a taller ride height. The new engine gives a very positive feedback with its peppy performance. Also the new engine promises of a better fuel efficiency. Gear shift has been made smoother with the new cable type gear shift. Handling of the Alto 800 has been improved even if not substantially but then one can feel the difference while driving the new car. The Alto 800 with its design boasts of a better street presence.Call it smart marketing or a true attempt, Maruti Suzuki deliberately chose not to name the car as an all new product but instead name it under the Alto brand. The Alto from the time of its inception has been a runaway success. The connect and the loyalty that this brand enjoys is unparallel. On the other hand the 800 too has enjoyed a cult following. So with the Alto 800, Maruti Suzuki wanted to retain the support and confidence of its buyers in the new model too. Maruti Suzuki Baleno is a new premium hatchback that sits above the Swift. This is the first product that is based on Maruti Suzuki’s new fifth-generation platform. This is a revolutionary platform for the company as it is lighter and even stronger than the existing Maruti Suzuki platforms. The Baleno is placed above the Swift and will be Maruti’s product for the premium hatchback segment.The Maruti Suzuki Baleno competes with the Honda Jazz and the Hyundai Elite i20. 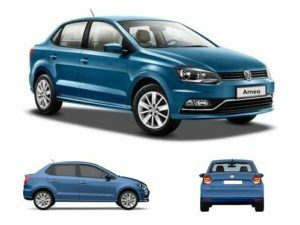 The Volkswagen Polo and the Fiat Punto Evo could also be considered as competition to the Baleno. 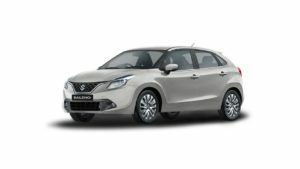 Maruti Suzuki Baleno On road price starts from 5,42,411/-. Check for price details of Maruti Suzuki Baleno in CarzPrice. The front seats are large, comfortable and well bolstered. Thankfully, the driver’s seat is height-adjustable, which helps get a good driving position. In fact, the tilt and reach adjustable steering further helps this cause. The icing on the cake is the positioning of the switches and buttons, all of which are well within reach, making the cabin ergonomically sound. As desired in this segment, the cabin is spacious and there’s plenty of space at the back too. What’s most impressive is the excellent knee room for the rear seat passengers – something Maruti car buyers were always left desiring more for until now. India being a predominantly chauffeur-driven country, this will not go unnoticed. There’s a spacious boot too, with a very useable 339 litres of storage space. Gearbox is smooth to shift, and precise. Baleno RS weighs 950 kilos (dry) and that means agility is not a problem at all. The problem is weight distribution. Maximum car weight lies around the front axle than the rear where only the torsion beam and spare wheel weighs things down. So, while taking corners with lift off, and turn right, before I hit the apex, the rear starts rolling brutally, causing spin outs now and then. Maruti is offering the Baleno RS in a single variant and hence the car is loaded with top spec safety features as standard such as dual front airbags, ABS, EBD and ISOFIX child seat provision. Additionally, the Baleno RS comes with all-four discs for better stopping power. In terms of after sales, we all know that Maruti has a very renowned and wide network across the country. The NEXA channel is growing with each passing day and the ownership cost of the Baleno RS will definitely be the lowest compared to the other performance hatchbacks in this segment. The Baleno is based on the new, Suzuki fifth-generation platform that is lighter, rigid and safer. Designs are subjective and the Baleno doesn’t top the list when it comes to styling, but what it gets is a complete package from the country’s best-selling car maker. The interior quality, the space and the drivability is one of the best in its segment. Maruti is ticking all the correct boxes with the Baleno and this is what the customers need. This is the new-generation Maruti and it stands strong, sending a signal to the competition that it is not going to stay quiet and it will not give up its market share. It is there to lead and hold on its market share. The Baleno is the first one and many more are coming in. The plain vanilla styling on the Toyota Etios may be ideal for people who do not like to grab attention in their mid-life. However, when the Liva was spawned, it looked crisper than the booted brother with the better finished rear end. The boxy body with minimum curves and slashes looks contemporary. In the recent facelift of the Etios Liva, Toyota has given the vehicle an updated grille with chrome finish along with new tail lights with minor modifications in the turn indicators which now use orange glass rather than clear glass. The major contributor to the feel good factor is the subtle body kit, rear spoiler, gunmetal finished 15-inch alloy wheels (all other Liva variants get 14-inchers) and a plethora of TRD Sportivo badges. The side skirts, front-lip, boot-lid, rear-spoiler, side-skirts and even the rear bumper is not spared from TRD Sportivo badges. Let’s be honest about the fact that not many of us like the interior styling of the instrument panel. The circular air-con vents might be highly effective, but they miss out on the appeal bit and even the central instrument cluster isn’t something one will appreciate. 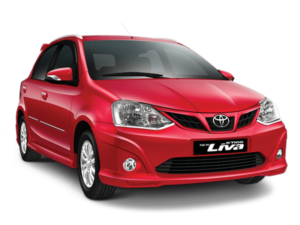 The quality of the Etios Liva for the price is acceptable, however not its design. The central instrument cluster has always been no-no for all recently launched cars. In terms of features, the Liva is a well-loaded product. The Liva’s recent upgrade to adjustable headrest was a very good option. This makes the car feel a lot more premium on the inside. The Japanese car maker has changed a lot of things in the Etios family after a delayed customer feedback. The space in the front row is good and even the seats are large enough, however the second row is a bit tight for knee room. There is a lot of stowage space. One can store seven litres of bottles in the Liva alone, which is humongous. Then there is a decent size boot as well. Seating comfort, driving position, access to controls, these are some elements that Toyota well has taken care of. When you sit in the driving position, it is easy to get comfortable and adjust the steering wheel and the seat. There is height adjustable in the top-of-the-line VX trim. The A-pillars (side pillar) are thin and the visibility is good. However, the mirrors could have been bigger for better visibility of the rear. The large headrests at the rear, somewhat block the rear visibility. Now it is time for the engines. First is the 1.2-litre petrol, which will be the most selling engine today as the fuel prices have seen a major dip and petrol has seen a major jump in demand. The engine is quiet and this engine produces about 80bhp of power. Most of the power is available at higher revs, so you need to downshift for an overtake, especially while driving on an highway. Most of the drivers prefer relaxed type of driving then this engine will perfectly suit this requirement. The power produced by the engine is sufficient for city driving and it even returns a decent figure of 12 km per litre in city driving and with highway, the mixed figure is close to 14 km/litre. The five-speed transmission is smooth and has short throws. The diesel engine of the Etios Liva is a gem. This is a 1.4-litre engine that churns out 67bhp of power. Let us not go by the numbers, once you get behind the wheel you realise how good this engine is. Be in almost any gear, the engine pulls without any hesitation. This is what Toyota’s are known for, and this diesel engine has the typical Toyota characteristics, which makes the Japanese auto giant one the best sellers in the world. The oil burner is a bit noisy, however it is highly fuel-efficient too. In city, the Etios Liva returns about 16km/l with ease, while on the highway, the figure is between 19-22km/l depending on your driving condition. The suspension setup on the Liva has been setup to provide best of both worlds. The handling is neutral. Liva turns into corners quickly, thanks to the lower kerb weight. There is a bit of body roll and the steering feel is average. It is nowhere as feedback rich or eager as the Maruti Suzuki Swift or the Ford Figo in the corners. The electronic steering is light and does city duties well but it does not offer feedback or weight up at high speeds. The steering wheel in particular is not good enough to hold in the first place, it’s too big. The ride quality is mature and the wide tyres offer splendid levels of grip. The Liva doesn’t get unsettled on bad roads and absorbs most bumps in its stride remaining reasonably composed. Braking is excellent with good pedal feel and offer quick speed shedding capacity. High speed stability is good too and changing lanes does not upset the car’s balance. Ground clearance is not an issue and we did not scrape the body kit or the under body on any large speed breakers at all. Toyota Etios Liva has ventilated disc brakes for the front wheels and Drum brakes for its rear wheels.Vehicular safety is quite important for Toyota and hence, Etios Liva comes loaded with safety features like SRS airbags for the driver and the co-passenger, Anti-lock Braking System (ABS),Electronic Brake-force Distribution (EBD), engine immobilizer, keyless entry, driver seatbelt warning and door ajar warning. Let us get this straight, making affordable cars in India is a tough task and so far Maruti Suzuki and Hyundai have been successful. The Etios Liva is a good hatchback to buy and for the price you can expect a little better quality. However, the interior styling could have been better. The biggest USP of this hatchback is the Toyota badge and bullet proof reliability of this Japanese manufacturer. The top-of-the-line variant of the Liva diesel costs about Rs 8 lakhs, there are cars with more features available at this price, but most of them lack the refinement and experience of that Toyota promises. You can’t expect the same high Lindt standards for that price, which the Swiss company has set with its other range of chocolates. However, the company will deliver better product than a Cadbury and so is Toyota. They have made a lot of changes in the Etios family, we expect them to sort out the remaining ones too. Maruti Celerio gets a dual tone interior design with Indian favourite beige being one of the shades. Inside the vehicle gets characteristic Suzuki traits and parts that can be found on the other models of the Japanese carmaker. The large 2425mm wheelbase offers spacious cabin with extra headroom, legroom and shoulder room. Moreover, passengers get 15 smart utility spaces for putting small bags like bottles, magazines, phones and others. When compared to A-Star and Estilo, this hatchback offer more upmarket and better quality interiors. The seats have better cushioning and offers comfortable seating to passengers. The rear seats come with the option of 60:40 split flexibility to increase luggage capacity. That is what we call XpanDesign. The flowing curves of the dashboard and the way it merges with the rest of the interiors give the cabin a premium feel. All of it comes together to create a space thats perfect for you and your family to settle into and enjoy the drive. The Maruti Celerio offers a good mix of space and comfort and it is exactly like its petrol sibling. The ride is pliant and the suspension feels well balanced. It is not too stiff nor soft. The steering too is well weighted and not overly assisted like some other cars in the segment and this feels good. The clutch too feels pretty light, especially for a diesel. While the engine sound intrudes inside the cabin, it gets easily muffled with the audio system on. Overall, the driving dynamics in the Maruti Celerio are better than just acceptable. The hatch comes clubbed with the EZ Drive in it, which makes driving the vehicle easy. 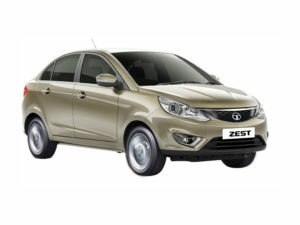 The EZ technology in the car assures a ride that is hassle free, especially while riding in heavy traffic conditions. The braking system comprises of front and rear drum brakes, which enables immediate braking action. Maruti Celerio is much more safer than the existing A-Star, as the car is bigger in size. The tall boy design gives high driving position, which helps in better upright view of the road. The electronic power steering helps in easy manoeuvering of the vehicle with shorter turning radius. High strength steel side impact beams ensure protection at the doors in case of any side impact. The top-of-the=-line variant boosts dual airbags – one for the driver and the other for the co-passenger.